When sleepy little kitty wakes from her nap, she can't find her mommy. She asks the barn animals for help. Her new friends are happy to help. "Moo!" says the calf. "Oink!" sys the pig. "Quack!" says the duck. After all, that's how they call their mommies. Poor little kitty's mommy is nowhere to be found...until kitty tries one more thing. Sean Julian enjoyed art from an early age, focusing on potato printmaking and creating plasticine dinosaurs. He now focuses his talents on children’s book illustrations, where he can follow his passion to draw hairy gorillas, bears, and dinosaurs. His pictures delight and entertain. He lives in Bristol (UK). 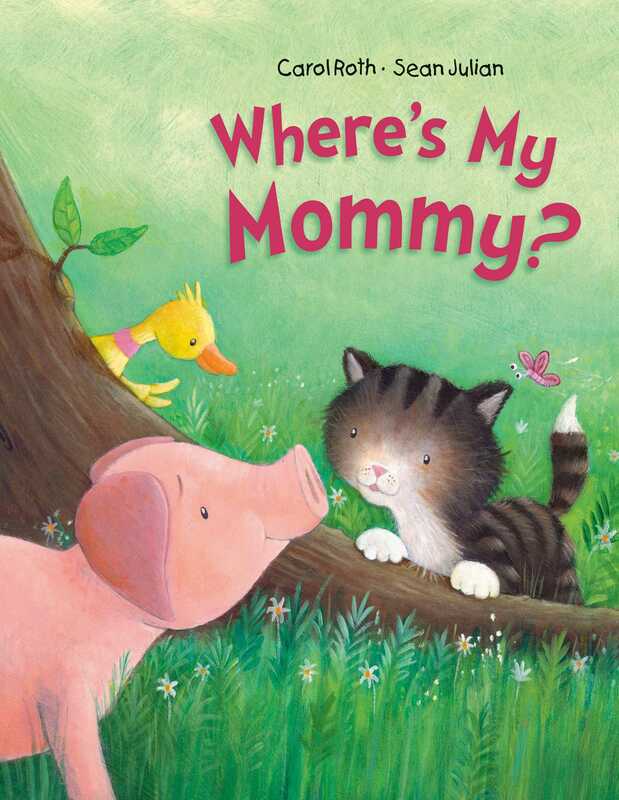 Book Cover Image (jpg): Where's My Mommy?